Pamukkale Hierapolis is situated on the south west of Turkey,s Anatolian Peninsula. Melrose Allgau offer twice the hospitality with Hotel and Backpackers accomodation everyday of the year. We have lodgings to suit everyone, Besides guality accomodation we offeryou numerous activities and facilities especially designed for your travel needs. We will be glad to Entartain You. Ferientraum.com offers portal short-term trips and hotels as load-minute with a favorable price-performance-relationship world-wide and to it daily new offers. 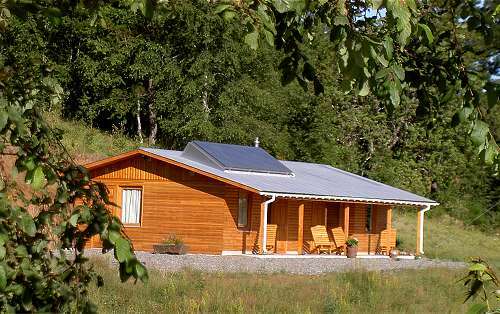 You can with it from a diverse palette online from near - and long-distance travels choose. Manlai's guesthouse and tours in Mongolia. La Casa Fitz Roy is colonial style house, recently refurbished, situated in Palermo Hollywood, in the youth heart of the city.This is a trendy part of Buenos Aires.The House has 12 rooms (single, double, up to 4/6/8 people rooms with shared bathrooms), family friendly rooms,(interconnecting doors). Common areas include a living room with comfortable sofas, a fireplace area, a covered patio and and patio(outdoors). Each traveller has a high density mattress(La Cardeuse), independent heating system, reading lights, polar fleece blankets, cotton linen.Non-smoking rooms Extended Continental Breakfast is included (Coffee, tea, juice, cereals, bread, facturas argentinas, dulce de leche, butter). Open 24 hs.-No curfew. Security 24 hrs. 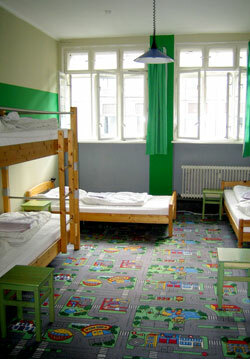 You will find the Hotel4Youth in a typical old Berlin Apartment house in the bohemian side of Berlin called Prenzlauer Berg. We have 133 beds in 48 modern, practical rooms with shower/toilet. In our single, double, triple and four bedded rooms you will find the best accommodation if you are travelling alone or in a group. Prenzlauer Berg is a top place to start a tour to explore Berlin. Train, Metro, Bus and Tram stations are in front of the Hotel4Youth. You can just walk to a lot of restaurants, bars, clubs, cinemas and Hot Spots to go shopping. My name is Charles Pankow and I started Hostal de Sammy with my best friend Sammy, an Australian Cattle Dog mix that I brought with me from the USA. Since opening of the hostel last year, I lost Sammy to cancer but his name and spirit lives on in the hostel. I like to say that staying at the hostel is much like staying at a friend’s house (albeit a friend that charges you a little) but offers you a comfortable place in which you can rest after a long trip. The best part is that everything is included in the price with a great free breakfast, pool table, table football, at least 4 actually working computers with internet, and a living room with hundreds of movies to choose from. Sammy is you best friend in Chile. Hostel and Hotel Bella Capri Friendly, clean and safe. Recommended by: Let’s Go Travel Guides; The Rough Guides; Frommers Naples and Amalfi Coast. Located in the central part of Naples (waterfront!) The hostel (BRAND NEW!) offers large mixed dorms (singles, doubles, triples, quads) with A/C, shared showers (some with private), and FREE LOCKERS. The hotel offers beautiful, large rooms with private bathrooms- some rooms with balconies (ONLY ON REQUEST and if available), with great views of Mt. Vesuvio, Sorrento Coast and the Isle of Capri. All Hotel rooms have A/C, direct telephones, TVs, and hairdryers. All guests of the hostel and hotel will receive: FREE WIRELESS INTERNET. FREE NICE BREAKFAST. FREE MAPS OF THE CITY AND SOURRONDINGS: Access to huge common room with guest kitchen, Satellite TV (flat screen), and DVDs Access to safe and laundry service English, Spanish, French, Polish and Greek spoken here. Ask about our cheap day-trip tickets to the isles of Capri, Ischia and Procida. Lunch included in price! NO CURFEW! NO LOCK OUT! Located right in front of the Port of Molo Beverello for ferries and hydrofoils to Capri, Ischia, Procida, Sicily, Sardinia, Tunisia and Aeolie Islands. Only two minutes walk to the “SITA” Bus station to Pompei (departures are every 25 minutes from Monday to Saturday), and Sorrento, Positano and the Amalfi Coast (departures are 3 times a day from Monday to Saturday). Castel Nuovo (or as Neapolitans call it, “Maschio Angioino”), is just beyond the Hostel as are the Royal Palace and Gallery Umberto 1th. The National Archeological Museum (Pompei Museum) is a short 15 minute walk from our location. University Federico II is only a 5 minute walk away. Restaurants and ATM machines nearby. Directions (how to arrive at the establishment) : To reach Hostel and Hotel Bella Capri from Naples train station: Take a walk to the Bus station (Located in the centre of Piazza Garibaldi) and take the R2 Bus. This will take you through the main shopping street Corso Umberto and then turn onto Via De Pretis. Get off at 2nd. stop on Via De Pretis and cross the road onto Via Melisurgo N°4 (on corner you will see a newspaper Kiosk). Take a short walk (1 min.) on this street and at the end of it, on your right hand side, you will find us. From Naples International Airport. as soon as you will go out from arrivals, you will find the 'ALIBUS' shuttle which will drive you downtown. You have to get off at last stop which is Piazza Municipio(right near by the Castel Nuovo). Then you have to face the port and turn on your left hand side into Via Colombo and within two blocks you have to turn left again and you will find us.